Almost everyone knows about the Scofield Reference Bible. But no one before this has worked out a detailed account of the life of Cyrus I. Scofield. And yet there is such an amazing amount of material that should be known about this man that everyone who is at all interested in the dispensational system should read this book. This is a powerful book. The material is well documented. Anyone who gets this book and reads it will find here some amazing things about a man whose book is well known, but whose life we believe concerning many of its most features has been purposely concealed lest it be found to contradict his teachings. This is one of the most powerful books that has ever been written against the dispensational system. It is powerful because it shows how the book that has the most to do with promotion of that system. The Scofield Reference Bible, originated. Here is a book that dispensationalists as well as others will do well to read. It is powerful, so powerful we dare say, that if dispensationalists would read it carefully, perhaps half of them would turn from that system. 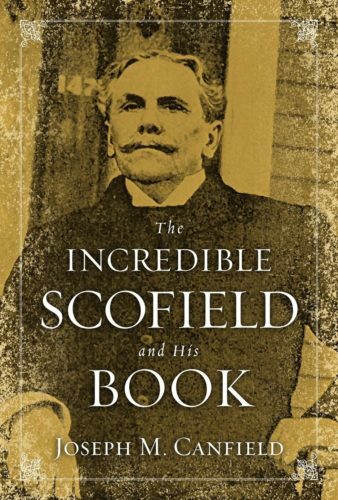 Joseph M. Canfield is the author of The Incredible Scofield and His Book published by Chalcedon/Ross House Books.